Don’t you want to see that smile again? With the official Episode VII cast announcement of a few weeks ago, we now know that so many of the characters we loved from the original trilogy will be returning: Luke Skywalker, Han Solo, Princess Leia, Chewbacca, R2-D2, C-3PO. From that list is one glaring omission: Lando Calrissian. 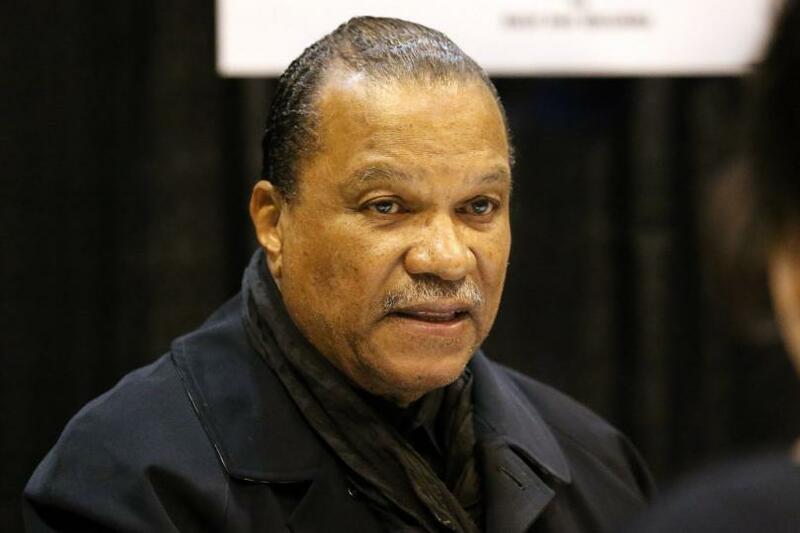 I’d love to hope that Billy Dee Williams’s portrayal of Lando simply has yet to be announced, but Williams has made it fairly clear that nobody has so much as approached him about the film. It sounds like he’s not in the script at all. If Lando Calrissian isn’t going to be in Episode VII, I think it’s time we address the level of attention and respect the character receives. Within the Star Wars fandom, we often speak of the “big three” — Luke Skywalker, Han Solo, and Princess Leia Organa. They are seen as the protagonists of the Star Wars films. Certainly they have the three biggest roles, but I don’t think this is the right way to think about the core cast of the Star Wars trilogy. There is really a “big five” that includes both Lando Calrissian and Chewbacca.1 Lando should be considered as much a vital protagonist as Han, Leia, and Luke. It’s understandable to a degree that Lando wouldn’t get quite the same attention as the big three. He wasn’t in the original movie. Introduced halfway or more through the second movie, he functioned as a supporting character, a friend of Han’s who betrayed him before allying with the heroes. But the end of The Empire Strikes Back, in which Lando took over Han’s seat in the Millennium Falcon alongside Chewbacca in order to lead the search for him (rather than, say, quietly disappearing after fulfilling his function of freeing our heroes), clearly set Lando up as a new addition to the team of protagonists. Return of the Jedi confirmed that, having been introduced, Lando had moved up to the core cast when it allowed Lando, effectively solo, to anchor the entire spaceborne Battle of Endor, and even to fire the shots that destroyed the Second Death Star. Lando may not have had quite the stature of Luke Skywalker, but surely it was clear that he was a key part of the ensemble now. Even moreso than the sidekickish Chewbacca, Lando was an active, independent protagonist able to hold down his own third of the movie in same manner as Luke and Han and Leia. Unfortunately, the EU didn’t quite take that hint. Some works, of course, were relatively good at finding roles for Lando. Back in the eighties, he got his own novel trilogy, and the Marvel comics were excellent at understanding that he had joined the main cast and featuring him right alongside Luke and Leia. During the EU renaissance, Dark Empire continued to use Lando as a general with a third-string plot. Though Timothy Zahn’s retirement of Lando ultimately helped contribute to his marginalization, Zahn generally made good use of Lando in his big New Republic series, even if he tended toward simply being Han’s buddy. 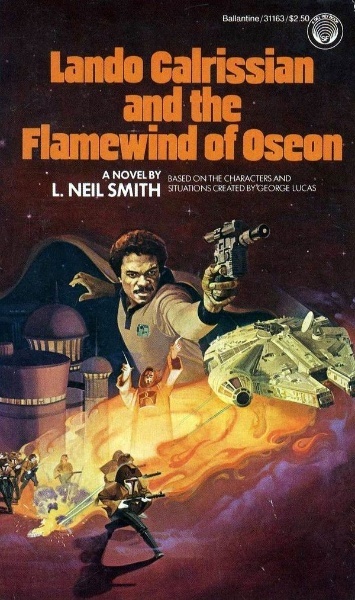 Lando also got a reasonable spotlight in The Jedi Academy Trilogy, a brilliant and meaty plotline of his own in The Black Fleet Crisis, and a significant, if rather misguided, role in The Corellian Trilogy. More recently he was treated like an equal in Luke Skywalker and the Shadows of Mindor. But it is unmistakable that, overall, the EU has simply not valued Lando to the same degree that it has the other main characters. Nearly every “main” EU novel, excluding deliberate side stories like the X-wing series, has felt it obligatory to include all the “big three.” They were simply there by virtue of its being a Star Wars story. Even in The Courtship of Princess Leia, there had to be a Luke subplot within a book centrally concerned with Han and Leia’s relationship. Han and Leia went to Dathomir on their own, but still Luke wound up there. Fate of the Jedi and much of Legacy of the Force had nothing really to do for Han and Leia, but still felt required to include makework plotlines for them. In all these stories, Chewbacca and the droids were always there, too, at least as long as Chewbacca lived. Yet Lando, alone of the central cast, failed to receive the same treatment. Lando’s presence was treated as entirely optional. This is not to say that packing all the characters into each story whether necessary or not is the right approach, but the disparity in treatment is glaring when many authors seemed to decide they could live without Lando, that he rated no better than background characters like Wedge Antilles, Admiral Ackbar, and Mon Mothma. Big chunks of the Yuuzhan Vong War went by without Lando in the narrative, and he essentially disappeared after its end. Lando was superfluous to the story of his best friend’s marriage. Perhaps most egregious is Lando’s total absence from the immediately post-Return of the Jedi novel The Truce at Bakura. Rather than looking at Lando’s prominent role in the film, and using the perfect opportunity to show him fully integrating into the ensemble, Kathy Tyers unceremoniously hustled Lando out of the cast with barely a mention that he was off to Cloud City instead. Even in those stories where he appeared, Lando was much more often a supporting player than he was allowed to take the driver’s seat in his own plotline the way he did in Episode VI. Those instances are few and far between. And while Luke, Han, and Leia have each been allowed to have books and comics they dominate as leads — things like the Empire and Rebellion series, Han Solo Trilogy, Scoundrels, and the increasingly Luke-centric post-New Jedi Order novels — Lando hasn’t gotten anything he can call truly his own since the early eighties release of his wonderful and bizarre The Lando Calrissian Adventures novels. Even the Star Wars Adventures comic digests, dedicated to focusing on single characters, got not only to Han, Leia, and Luke, but to Chewbacca, Darth Vader, and even Boba Fett . . . but never touched Lando Calrissian. It certainly gives you an idea of the priority put on him. Return of the Jedi set Lando up as a main character, as important as Leia or Han, but it’s a ball that no one has really run with since. 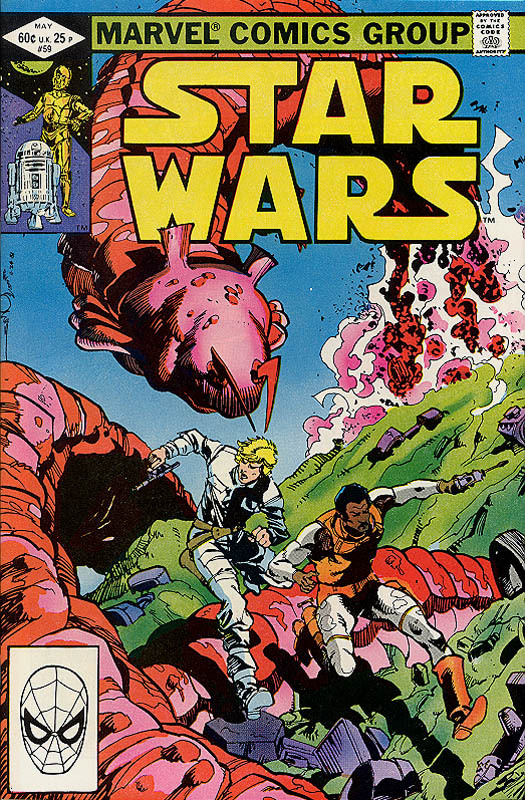 The implication of Lando as a truly central character on equal terms with the big three hasn’t quite been followed up on after the Marvel comic ended in 1986. Honestly, it feels as if Lando has been given progressively less importance as time goes by. He was featured in the eighties, tended to at least appear in more stories than not and got some decent usage in the nineties, was used off and on in The New Jedi Order, and afterward dropped off the map so hard that the authors forgot to so much as give him a child until he was about eighty. And now we find out he hasn’t even been considered worth a cameo in the next episode of the film saga. It seems a terribly low level of respect for a character who truly was a member of the primary cast of the films. I really don’t want to see the sequels continue to make the mistakes the Expanded Universe made. Mishandling and underplaying Lando was a disservice to a strong, fascinating character, and if the new trilogy repeats and compounds that mistake by ignoring Lando, it will be a real tragedy. Lando is a character who deserves the respect he hasn’t truly gotten, and I would hope that he at least appears in Episodes VIII and IX. He’s no more optional than Han, Chewie, or the droids. Welp, I guess we can be glad that they didn’t off Lando to get credit for a “shocking death” while simultaneously not really affecting the overall story arc in a meaningful way. What I find really funny is the fact they asked Dennis Lawson back as Wedge for Episode Seven but didn’t bother asking Billy Dee back. I like the idea they’re saving him for Episode eight, but I agree he just hasn’t gotten the screen time he deserves in the Eu. 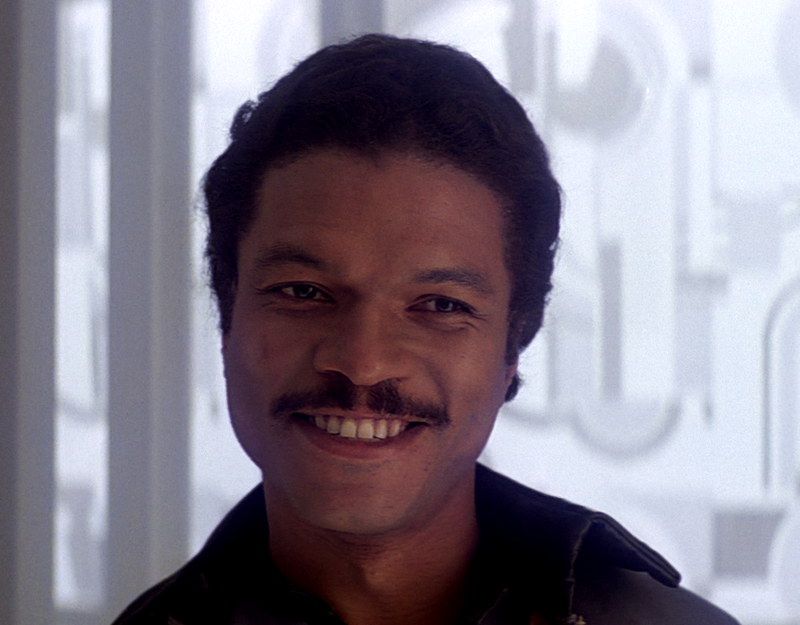 Characters like Wedge and Boba get entire comics, novels, and video games despite having five minutes of screen time apiece, but poor Lando is usually little more than a cameo. Maybe he’ll get some good stuff in the new EU or Rebels.